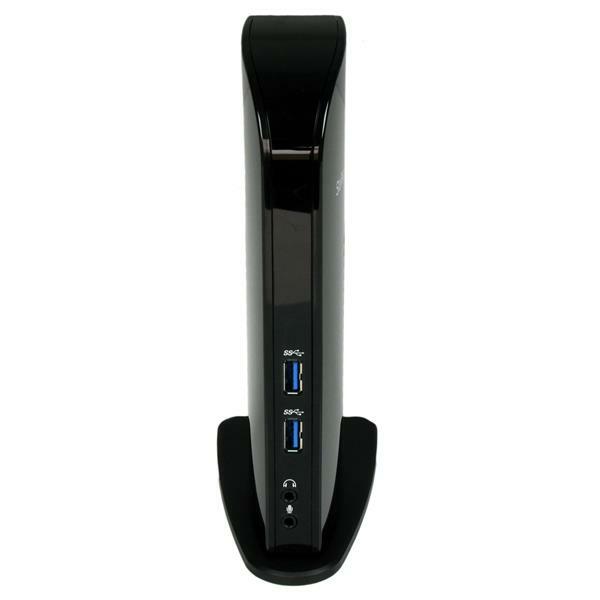 The USB3SDOCKD Universal USB 3.0 Laptop Docking Station/Port Replicator with DVI, Audio and Ethernet adds an external DVI output, headphone/mic, as well as Gigabit Ethernet and additional USB 3.0 and USB 2.0 ports, all from a single device and over a single SuperSpeed USB 3.0 connection. 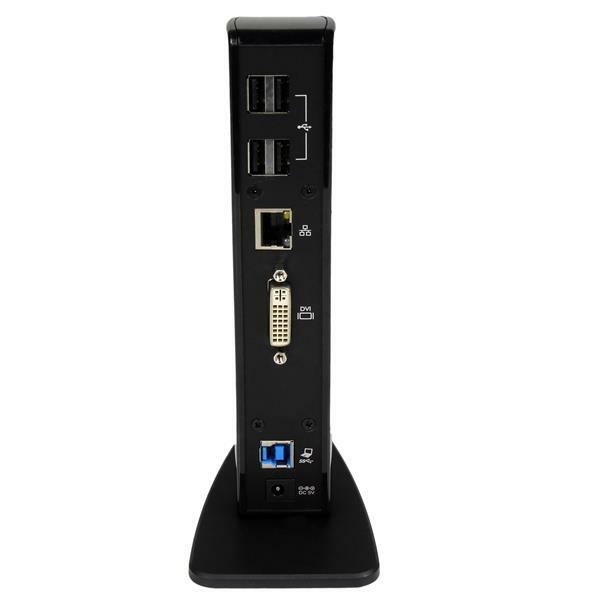 This highly versatile port replicator/universal docking station lets you expand or mirror your computer's main desktop at video resolutions up to 1920x1200, with DVI monitor output, as well as an included DVI to VGA adapter. 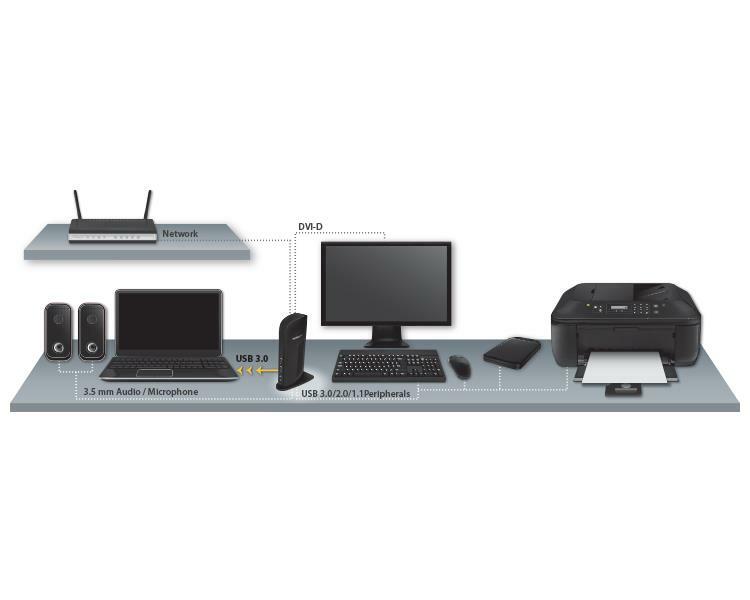 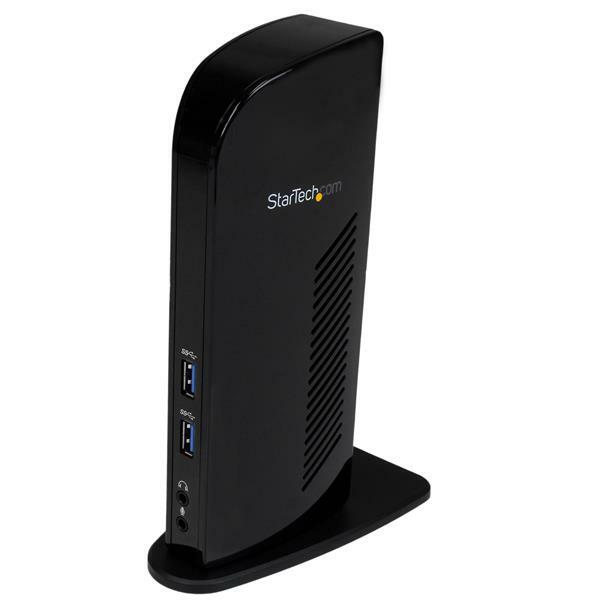 The docking station also combines USB 2.0 and USB 3.0 hubs, headphone and microphone audio connectors and a Gigabit Ethernet RJ45 port into an all-in-one laptop/notebook docking station that makes for the perfect accessory for users who need to connect and manage many devices on their laptops at home or at the office. 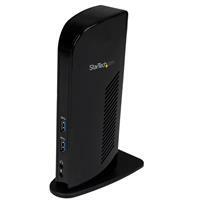 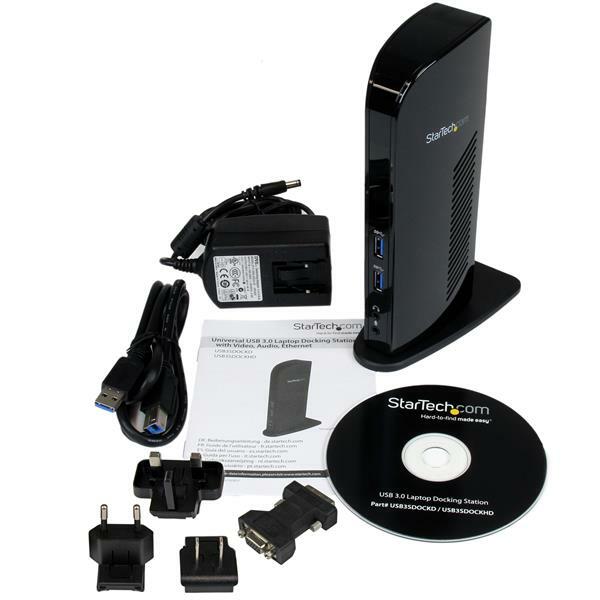 The USB3SDOCKD is backed by a StarTech.com 3-year warranty and free lifetime technical support.